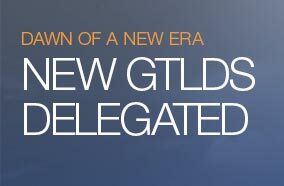 300 plus TLD’s (generic top-level domains) have been released to the already confusing World Wide Web. The results of these domain names is staggering and the best ones are already being snatched up. My prediction is that Google and other search engines will use these in their industry specific indexing as well as indicators of quality. Domains names aren’t just for helping you rank well with Google, they can be used for your brand – helping you stand out! In fact, we just purchased SantaFe.Marketing to leverage one of our branch locations.